Cronos, the Canadian cannabis producer, was up almost 14% Monday after getting an endorsement from the „Mad Money“ host Jim Cramer. After Friday’s closing bell, Cramer said the company was the „second best“ in the industry, behind Canopy Growth. The Canadian cannabis producer Cronos was soaring Monday, up almost 14%, after getting an endorsement following Friday’s closing bell from the „Mad Money“ host Jim Cramer. „Altria is the ideal partner for Cronos Group, providing the resources and expertise we need to meaningfully accelerate our strategic growth,“ Cronos CEO Mike Gorenstein said in a press release at the time. 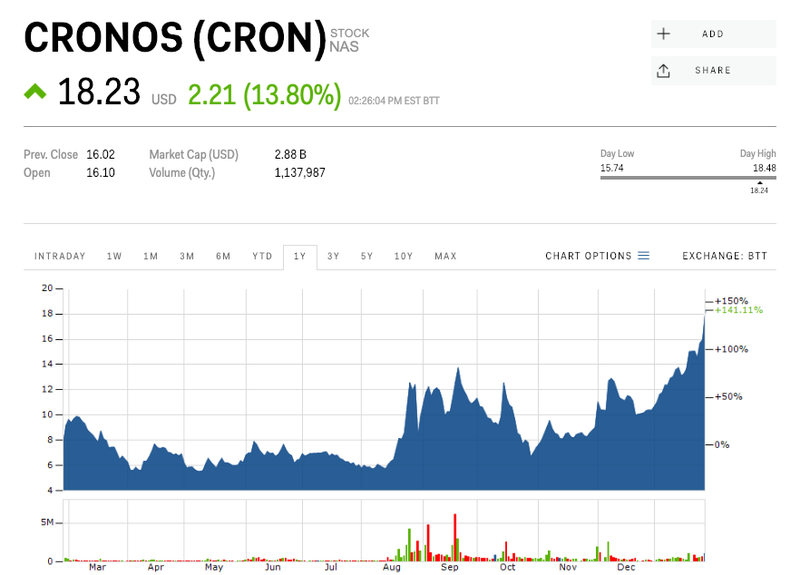 Cronos has been red-hot in 2019, up more than 76% including Monday’s gain. It was trading near $18.25 a share.